Trust ETC Hire with your Traffic Control Equipment and Sign Hire needs! ETC Hire has been supporting the traffic control equipment and sign hire needs of businesses on the Gold Coast and in Brisbane for over 10 years. We also service the Sunshine Coast, Ipswich, Byron Bay, Northern Rivers and greater New South Wales. Here at ETC Hire, we take safety and legality very seriously, so it has always been our goal to make sure that our products are safe to use and meet all the set legal and traffic management hire industry standards. ETC Hire is also environmentally focused, and as a result, a vast majority of our equipment is solar powered. This means our traffic control and LED signs are eco-friendly, low maintenance and cost-effective, as there’s no ongoing running costs. In addition, most of our advertising and traffic control equipment is trailer mounted, for simple and easy transportation and positioning. Since ETC Hire is an Australian owned and operated company, most of our equipment is Australian-made. 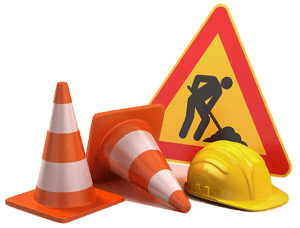 We never compromise on quality and are fully equipped to deal with any traffic control related issues in these locations and offer a wide variety of different services and products for hire. Contact us today for a quote or further information on our traffic management, traffic control equipment and sign hire services on the Gold Coast, Brisbane, Sunshine Coast, Byron Bay, Northern Rivers or Northern New South Wales. Hear of new product releases, special offers and industry updates.